One Bedroom Apartments available on numerous floors. To view the show home, please telephone us on 0208 446 5871. Gateway House is an outstanding newly converted mixed use development located in the heart of Finchley. These luxurious apartments have been designed with style and comfort in mind with a whole host of practical amenities adding to the natural attraction. 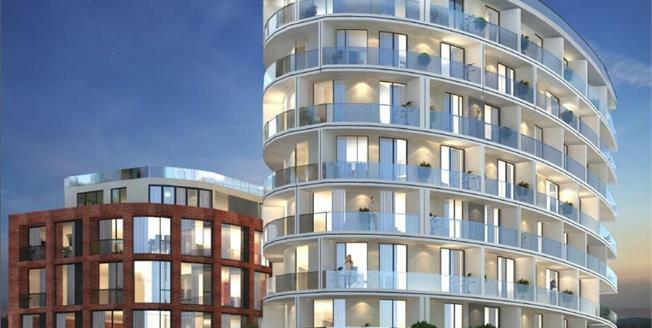 The development offers an exclusive collection of One, Two and Three bedroom apartments, designed and specified to provide stylish open plan living space, with emphasis on style and modernity and on the optimal use of space and light. - Fully fitted white gloss Kitchen with solid engineered worktops, upstand and splashback, Integrated appliances including Hob, extractor hood, oven, 70/30 Fridge/Freezer, Washer/Dryer, Dishwasher, undermounted stainless steel sink with chrome tap, recessed lighting. - Ensuite Bathrooms to all 2 and 3-Bed apartments. - Flooring - Engineered Oak flooring to Hallway and Lounge, Carpet to Bedrooms and Porcelain or Stone tiled floors to Bathrooms. - Outside Space - Balcony or Terrace. - Gas Central Heating to panel radiators. - Centralised Satellite TV system.